Learn how to build a deck railing in 7 primary steps. Check out tutorials & videos on different syles of deck railing such as wire/cable & standard wood. Does your home have a deck that is need of a makeover? Deck rails can spruce up an entire patio, making it both safer and more stylish. Plus, adding a simple railing to your deck can increase the market value of your home as well. It’s a relatively easy do-it-yourself project but if you (or your enlisted family member) have any building experience, you’ll be ahead of the curve on this DIY project. Depending on your location, some building codes require railings for any deck a foot above grade. Keep in mind also that there is a standard rail construction – deck railing height anywhere from 36 to 42 inch high – with balusters every 4 inches to keep children safe. Any system with more than one riser will require hand rails along the steps. Many aspects of deck remodeling and construction don’t require a permit or inspection, but in some locations, they do. Be sure to check in with local building codes as some can be very specific. Check whether your deck footings, posts and joists are structurally sound. Look closely at the wood condition, including any warping. If you notice your entire deck appears a little warped, that probably means your footings are too shallow and will need to be replaced with deeper ones. Often, you’ll be able to simply create new ones right next to the old ones, saving yourself the exhaustion of pulling out old footings. Make sure your existing structure was built with treated wood for durability. It will have a green hue, and often markings like “.40 treated” or something similar. If your deck is stained and you can’t find any labels, simply cut a sliver off and look for the green tint on edges of the fresh end. One way to determine structural integrity is to either bring an architectural drawing of the deck/proposed deck to your local building inspector, or bringing your building inspector out to take a look at your existing deck. They will be able to confirm that it’s solid, or guide you to what needs to be repaired to meet code and be safe. Learn more about recycling your deck materials here. Depending on the type of railing system you intend to install, you will need lumber for posts, and either cable or wood boards for the railings. For now, let’s assume you’ll be working with lumber. Keep away from hardwood, including oak, maple and birch as well as typical building woods like pine or spruce. Instead, seek out pressure-treated straight-grained soft wood like redwood, cedar or cypress. These woods have natural resins that keep bugs and mold away, resulting in better-looking and longer-lasting railings. Assume the project will take about $500, and a weekend. Usually posts are made from 4×4 beams, and are installed at the corners of the deck. You can either set a single post at each corner, or use 2 posts per corner set on either side of the angle. Secure the post by clamping it in place and plumbing the position, then using exterior construction glue, galvanized screws, or carriage bolts to hold it in place. Make sure to be accurate in plumbing and prepare to repeat the process as needed – it’s the only chance you’ll get to ensure your railing is solid. After the posts are in place, you have the option to attach each rail individually to the post, or to put them together in sections then secure each unit. Usually, pre-assembling each section and then installing it is easier than doing each rail and spindle individually. To create the railing as a unit, measure between the posts for the exact lengths of railing you need. Then lay out the rails parallel to each other on the deck. Check your local codes for any requirements before placing the spindles – many building codes require 4 inches or less between each spindle – and mark each spindle on the railing. Cut the spindles to the correct length, and nail or screw onto the rails at the pre-marked position. Once you have assembled each railing section, secure it between the posts. Make sure to install all the sections of railing first, then set the cap railing over the top of the railings and the posts. If you have steps, leave the stair rails until after the rest is in place. It is easier to put each rail and spindle in place individually in a stair railing, rather than as a unit. Tip: Look in the lumberyards for wood specially molded on one side for gripping to use as your hand rail. Your final step is to place the stairways spindles and secure them. You’ll follow those basic 7 steps with any railing design, whether its cable or wood-based. Some of the details will change though, so let’s briefly look at a range of specific tutorials to help guide you. If you’re looking to install a full cable rail system, check out this tutorial. It walks you through installing the Feeney CableRail system, which takes 9 hours, and cost about $900. This includes removing the spindles from their old wooden railing system. Pro tip: Stain and paint any new lumber before installing it! For a DIY version of a modern, unobtrusive wire railing system that feels both open and secure, try this tutorial. Their total cost was $130, less than half of what the typical kit would cost ($300-$500). The project does require basic tools and some knowledge of construction, but the concept itself is quite straightforward. You’ll want stainless steel cables, bolts, nuts and washers as well as standard home repair tools like drills and wrenches. A cable cutter is a must-have as well. For a great video on building a standard wooden railing, look no further! You’ll learn how to build deck railings from top to bottom in only about ten steps. Finally, here’s a third option for a video tutorial that is a little more complicated, and requires a pneumatic stapler. The results are gorgeous, though! 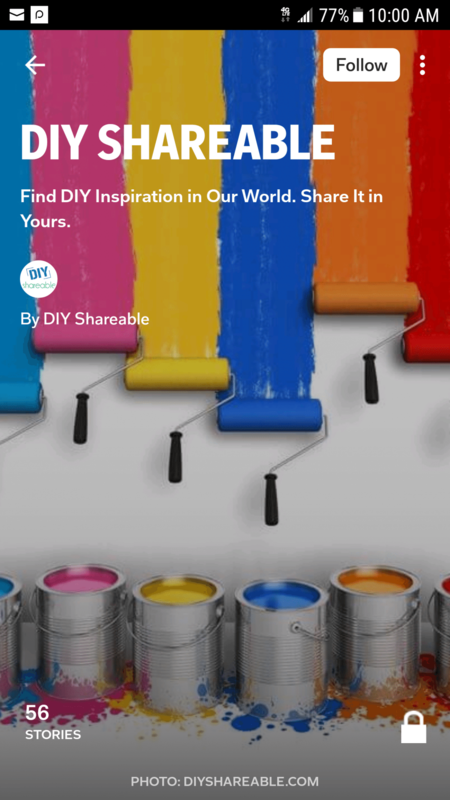 They will lead you through building a basic, elegant railing without any special woodworking tools or skills. All you need are the wooden posts/balustrades, an appropriate saw, and screws or nails rather than any fancy joint system. Figure on the project taking about a day with a helper (or two) for approximately 60 feet of railing. Pro Tip: Always wear respiratory protection when cutting or sanding treated lumber. Do not burn treated lumber. Perhaps you just want to add some wooden handrails? For example, if the rest of your deck is solid and it just needs a finishing touch or two, look here. 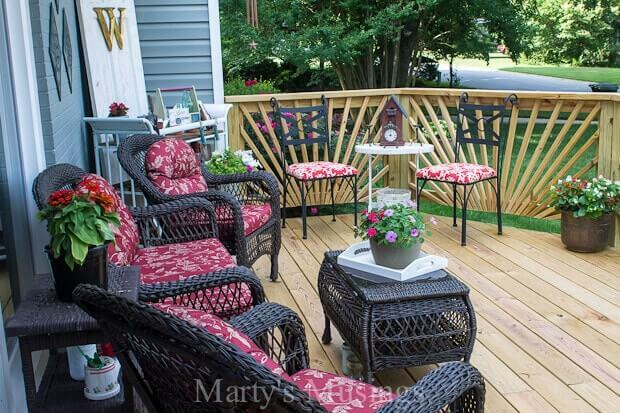 A few finishing touches can make your deck a thing of beauty. Consider if you want to add lattice work, or something similar at the bottom of your deck, either for the polished look it yields or to meet local code. Here’s a great how-to video. If you are looking for a combination of wooden railing and glass, to provide safety while maintaining your view, check out the tutorial at the Family Handyman. For a stunning, unique look, check out this sunburst deck railing. It’s a real show-stopper, and not difficult at all to build. The trick is building each panel separately, then putting it all together. Every DIY project is its own animal. Depending on if you have to do structural work or demolition, it can take several weekends to build a deck railing. The good news is that it’s easy to stretch the work out without interfering with the day-to-day running of the house. Remember to sand down any sharp edges and to call in your building inspector if local code requires it. Also, never burn treated lumber. If you have any that requires disposal, contact the local recycling center. Also, once the deck is dry and set (this may take up to a few months) add weather sealer to any wood surfaces. What are Some Unique, Affordable DIY Room Divider Ideas?